Signing of Coillte’s new Charter of Commitment for the People’s Millennium Forests; Pictured Left to Right: Aileen O’Sullivan, Senior Ecologist with Coillte, Declan Little, Woodlands of Ireland, Gerard Murphy, Managing Director of Coillte. 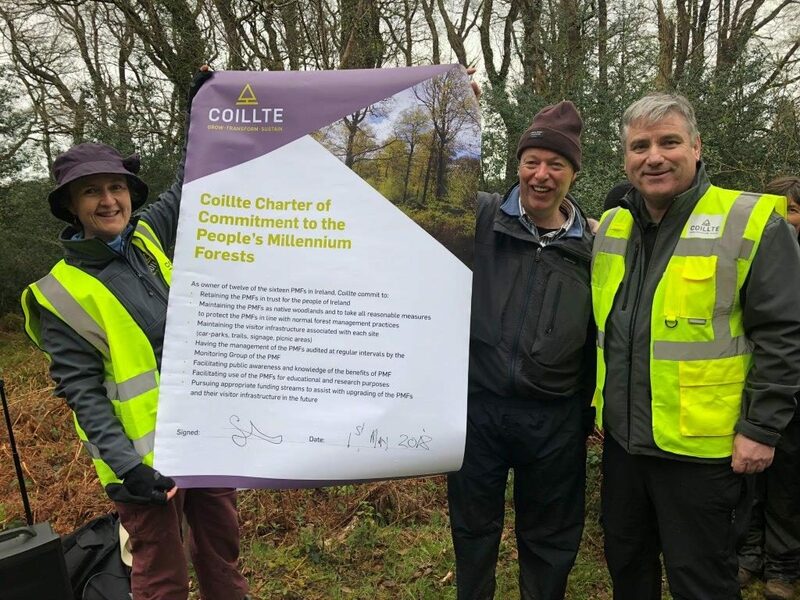 Coillte launched a new Charter of Commitment to the Peoples’ Millennium Forests on May 1st 2018. 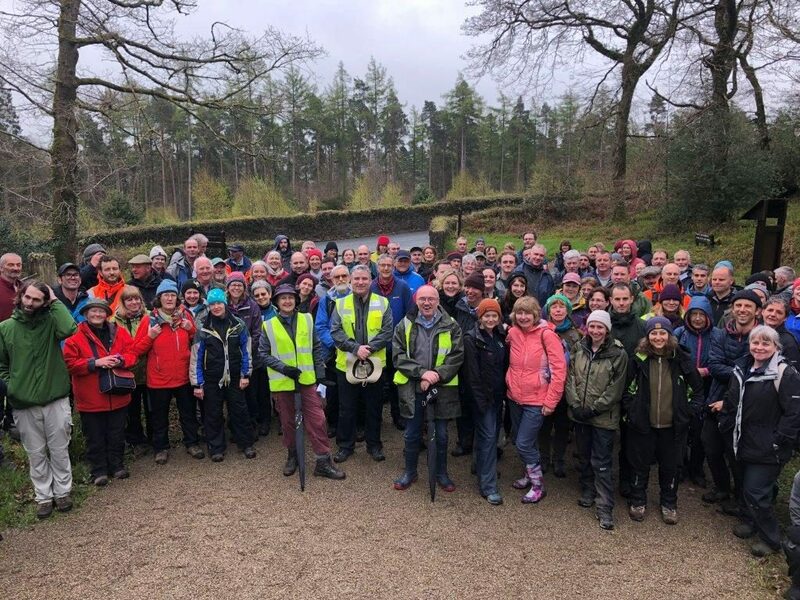 The launch event took place at Ballygannon Millennium Forest, Rathdrum, County Wicklow, as part of a Native Woodland Conference organised by the Woodlands of Ireland. The People’s Millennium Forests is an all-Ireland initiative and is the largest-ever project aimed at restoring and managing Ireland’s native forests. Twelve of the sixteen Peoples’ Millennium Forests around the country are owned and managed by Coillte. Ballygannon Wood forms part of The Vale of Clara, one of the most important native oak forests in Ireland. In 2000, Coillte restored Ballygannon as a native forest; a 1960s plantation forest was removed and more than 40,000 young native trees of oak, birch, holly, rowan and Scots pine were planted. The young trees were grown by Coillte from seeds collected in County Wicklow. Almost 20 years on, these young planted trees have developed to form a new, vibrant, native forest community, rich in both plant and animal life. The young forest will continue to grow for hundreds more years, developing into an ecologically mature forest. You can view a signed copy of Coillte’s new charter of commitment by clicking here.